The original clones brought back to the United States and distributed around the world. The name Wasson and Hofmann was first applied to the strain in 1992 by the now-defunct ethnobotanical company (Of the jungle). They began listing it in their catalog as the ‘Wasson and Hofmann’ strain to differentiate it from another strain they introduced the same year, “Blosser” or “Palatable”strain. This clone was originally collected by Sterling Bunnell in 1962, not by Wasson or Hofmann. A clone which was collected by anthropologist Bret Blosser in December 1991 and sold by the now defunct …Of the Jungle Ethnobotanical company. A descendant of a Salvia divinorum plant collected by L.J. Valdes,III, (the first person to isolate Salvinorin A, the active chemical in Salvia divinorum) near the village of Cerro Quemado, Mexico in the 1990s. Luna Is A descendant of a Salvia divinorum plant growing under a Salvia divinorum cul. “Hofmann & Wasson” clone, found by Daniel Seibert in Hawaii in 1994. this is possibly a seedling or a sport (mutation). It has a slightly different leaf form (more rounded and the edges more serrated) than the other clones. A strain collected by Daniel Siebert from a Mazatec shaman in Huautla de Jimenez (in the Sierra Mazateca, Mexico) in 1999. A strain collected by Kathleen Harrison, ethnobotanist and former wife of Terence McKenna, in January, 2001. A strain collected by Jack Owens on Cerro Rabon (in the Sierra Mazateca, Mexico) in June, 2003. Jack Owens was a major supplier of dried Salvia divinorum leaves to the US from Mexico. He died at the beginning of September, 2004 and this strain is named in his honor. A cutting from a seed-grown strain raised by Daniel Siebert in 1994. 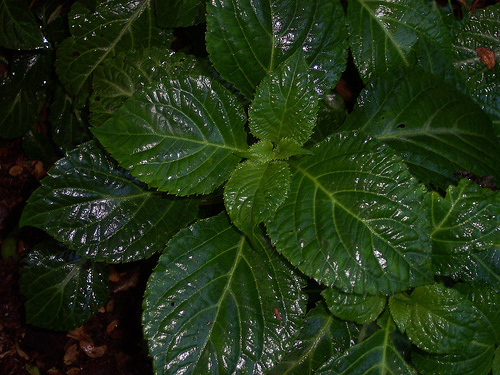 Salvia divinorum derived from seed grown plants is almost impossible to find and should contain valuable genetics. A cutting from a seed-grown strain raised by Daniel Siebert in 2002. Salvia divinorum derived from seed grown plants is almost impossible to find and should contain valuable genetics. If there are any strains that I’m missing, please feel free to leave me a message and i will add it to the list. This entry was posted on November 16, 2010 at 7:30 pm and is filed under Salvia Divinorum (Tags: Guide, julieta, la fuzerza, Luna, Owens, Paradox, resilience, Salvia Divinorum, strain, Strains). You can follow any responses to this entry through the RSS 2.0 feed. Responses are currently closed, but you can trackback from your own site. I was wondering about the Salvia Divinorum strain called Paradox. Thanks for all the information, It’s such a cool seed grown strain. nice Article, I follow you on twitter. I am trying to collect all of the salvia strains. There are so many salvia strains, this list helped out.